This is the complete story of the first public appearance of Prismata, our new Starcraft-meets-Hearthstone turn-based strategy game. As you may know, PAX Prime—one of the world’s largest video game festivals—happened about a week ago in Seattle, Washington. Tens of thousands of fans were treated to exciting previews, live announcements, and playable demos in the massive Washington State Convention Center. It’s always been a dream of mine to show off Prismata at PAX, and we’d been planning to have our own booth there since early spring of this year. It was going to be great! In a move that left us all extremely disappointed, PAX’s sales team left us hanging for weeks without returning our emails, and ultimately denied us the opportunity to even submit an application for floor space at the event, giving preferred treatment to AAA developers and other established exhibitors. 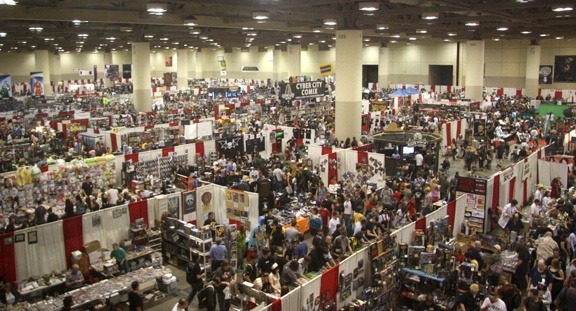 We ended up relocating our PAX booth to Fan Expo Canada—another large convention that happened to fall on the same weekend. Despite requiring a ton of planning, effort, and upfront costs, the Fan Expo booth went really well. Thousands of people played the game, and many of them came back multiple times, often bringing their friends, or waiting in line to play a fourth, fifth, or sixth time. There was nothing more satisfying than watching newbies turn into veteran Prismata players, after which most of them happily signed up to our mailing list to receive a beta key. Everything was going great! That is, until we returned to the office and realized (to our horror) that the entire list of hundreds of emails we had collected was wiped out by a bug in Google spreadsheets. More on that later. This article is our exhibitor post-mortem. Here, you’ll find a full description of what happened with PAX, info on how we planned and ran the booth at Fan Expo, a full listing of our expenses, and a complete description of everything that we wished we’d done differently. If you’ve ever considered presenting a game at a convention, this is a must-read!